Red Gold Collection ™ was born in March 2017, from an idea of Gloria Serafini, the owner of Podere Sant’Antonio. 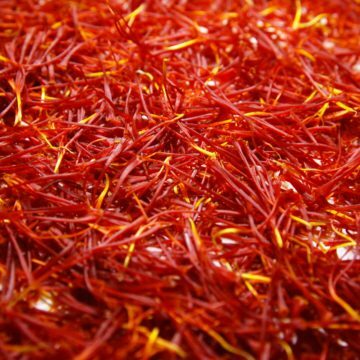 The project aims to promote the Italian Saffron Pistils (produced by our company following the techniques of organic farming) and to disseminate of accurate and detailed information regarding a product of Italian excellence, since users of this spice still don’t’ know enough about it. Through this project, Gloria wishes , to introduce the Italian Saffron Pistils onto the market in aproposing it to the market under a new and original look, that of the Gourmet Gift Box – Wedding Favors. Red gold collection offers an incredible array of Tuscan high quality Saffron Crocus from Podere Sant’Antonio farmhouse, packaged in gift-sized box to suit any occasion. Giving a gourmet box is also a fashionable hip, healthy way to share the memories of a special event. Today the “food” loses its original connotation and becomes something else: a search for a moment that, thanks to an extraordinary taste, keeps coming back to mind. Our collection focuses on helping customers to create a memorable gift that will be enjoyed long after the celebration is over. Our Gourmet Gift Box was born because we understand how important it is to make everything, even the tiniest detail perfect on a special occasion: by choosing Red Gold Collection ™ you will thank your guests for their presence and you will surprise them with a unique gift, totally handmade and with a special flavour.